Young athletes recovered more quickly from sport-related concussion with an early, progressive, aerobic exercise regimen in a 103-patient randomized trial. 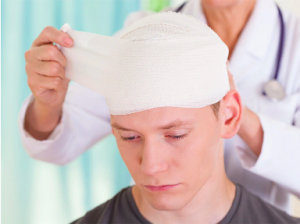 Adolescents who performed individualized, sub-symptom threshold aerobic exercise soon after concussion recovered in a median of 13 days, compared with 17 days for adolescents in a stretching program (P=0.009), reported John Leddy, MD, of the University of Buffalo, and co-authors in JAMA Pediatrics. “This research provides the strongest evidence yet that a prescribed, individualized aerobic exercise program that keeps the heart rate below the point where symptoms worsen is the best way to treat concussion in adolescents,” Leddy said in a statement.